How do you show your enthusiasm for D&D when the weather gets chilly? 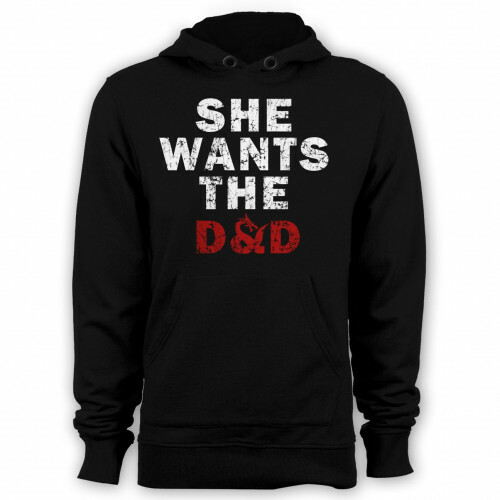 With a stylish Dungeons & Dragons hoodie from your friends at Guerrilla Tees, of course! 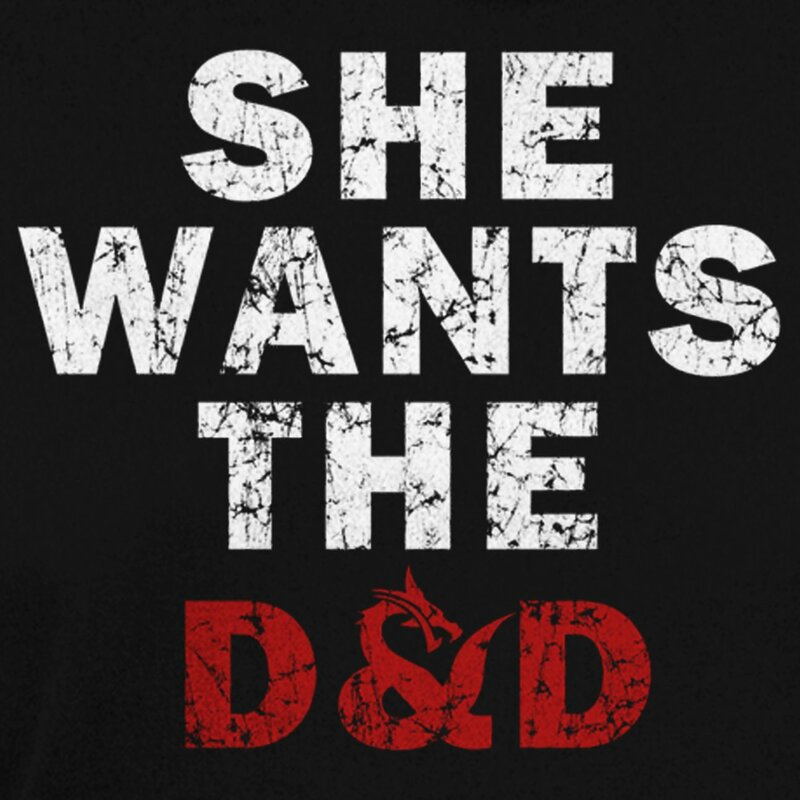 As longtime fans we're always working to expand our offering of D&D clothing, and we're excited to make one of our favorite designs available in this warmer variety. The She Wants the D&D hoodie from Guerrilla Tees will keep you warm, comfy and looking the part while embarking on quests, and makes a great gift idea for the hard-to-shop-for Dungeons and Dragons player. Check out our full line of D&D shirts and hoodies for men and women!